I missed the bus…AGAIN! | Do the twisted. After moving to Blacksburg, VA in January, I quickly discovered the BT (Blacksburg Transit). I had never ridden a bus before, but now I am addicted. There is a stop right by my house that takes me directly to campus which basically saves me about $100 a month in gas, parking meters, and parking tickets…not to mention lowering my carbon footprint (GO GREEN!). The only problem is that my stop is a secondary stop. When I say “secondary stop,” I don’t mean that it doesn’t get picked up as often as others. I mean that no one uses it because it is basically a sign in a ditch. Yes, I wait for the bus in a ditch. The things a starving grad student will do to save $100 a month. If only one of these advertisers would come along and transform my ditch into my new hangout. 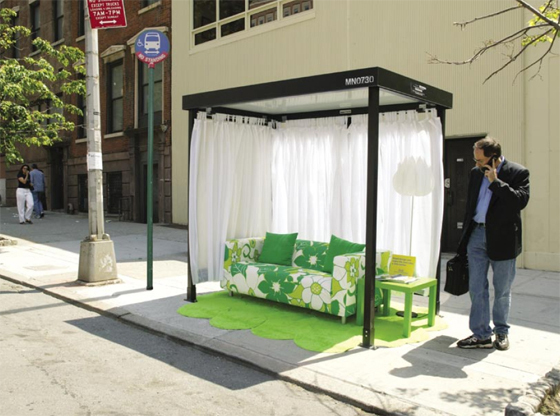 Ikea takes comfort to a whole new level at this bus stop. Impatient? Kill time by checking out the Victoria Bug Zoo. Just don’t kill the bugs. Tired of skateboarders loitering? Get used to it! 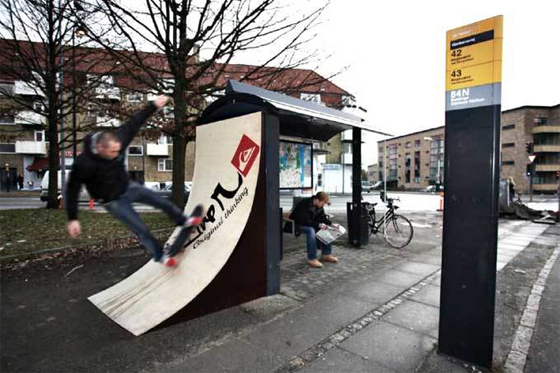 Quicksilver transformed this bus stop into a skateboard ramp. 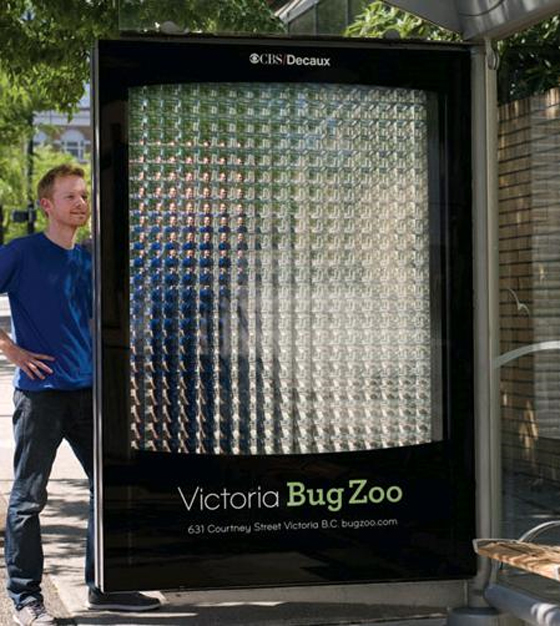 Take a look at all of the creative bus stop advertisements here.